A pictorial celebration of the coolest kids from the past… From beatniks to bikers, mods to rude boys, hippies to ravers. And everything in between. These are images that will set your soul on fire. 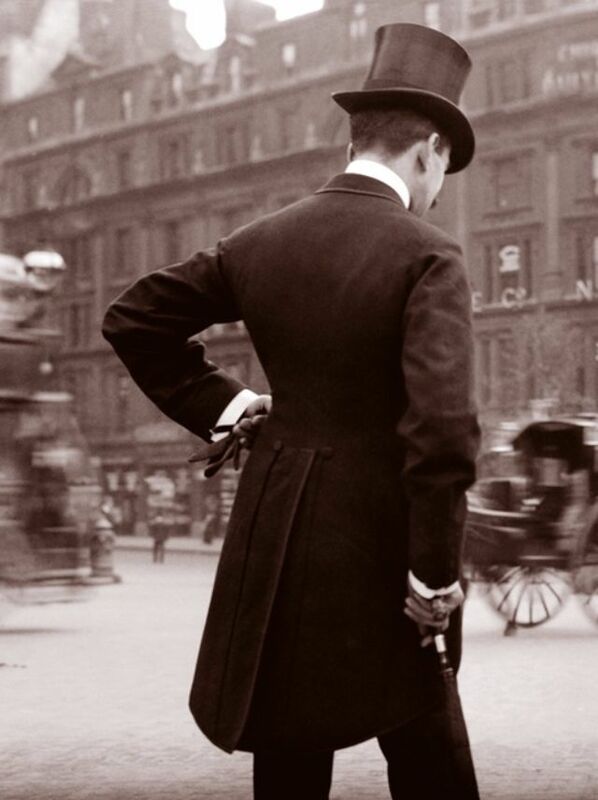 Get ready to get a style check. 3. 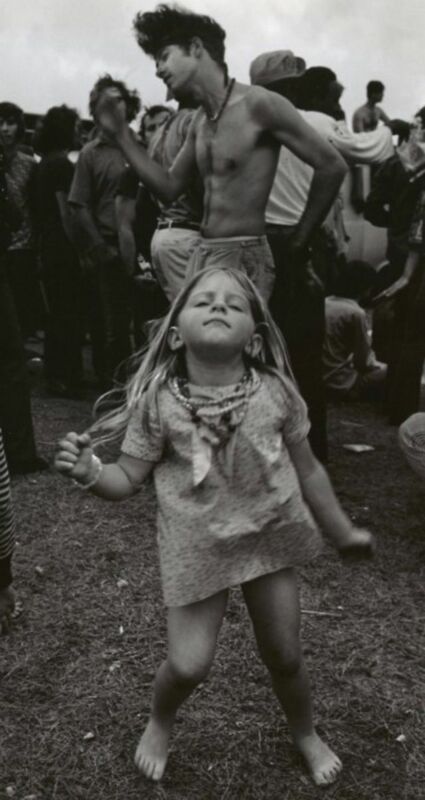 Little hippie girl going dance crazy at Woodstock, 1969. 4. 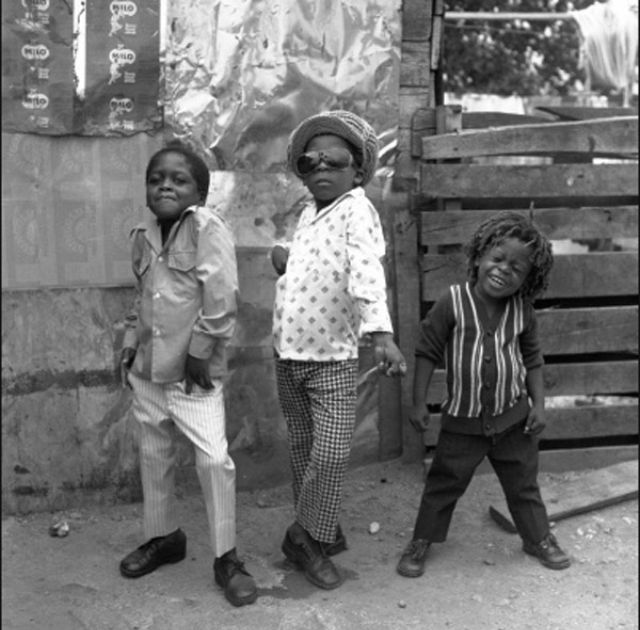 Young boys strike a pose for the camera, Jamaica. 5. 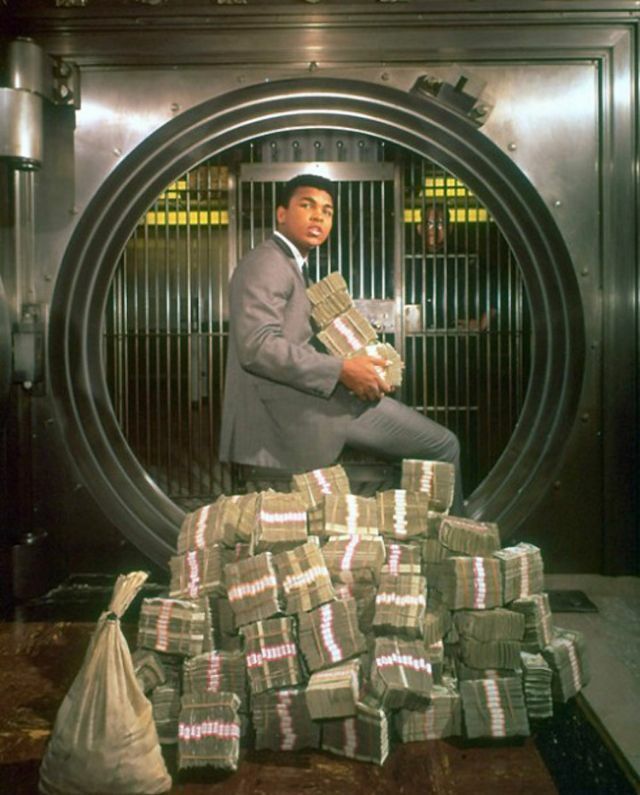 Muhammad Ali with his all of his ‘Ginormous’ winnings, 1974. 6. Pretty girl selling flowers on the roadside, Oklahoma, 1973. 7. Bathing beauties in vivid Kodachrome, 1944. 8. Arnold Schwarzenegger swags it up with his glass of cognac. 9. 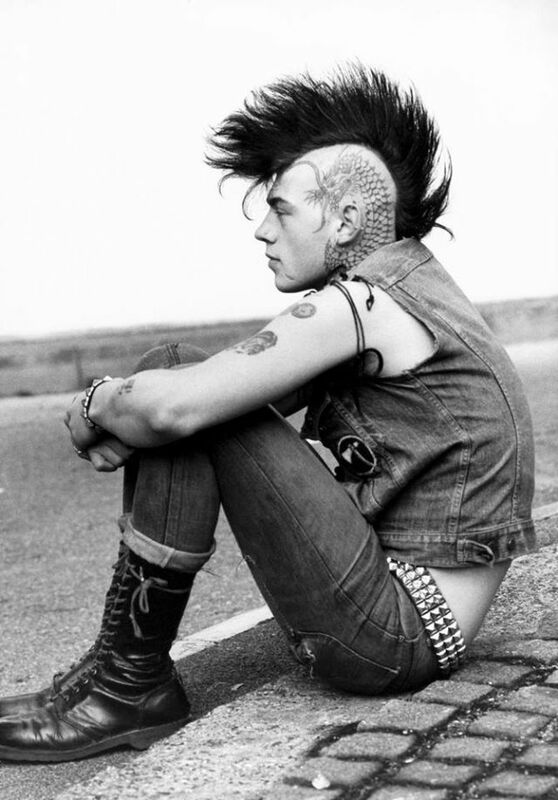 A punk guy rocking a kickass Mohawk, 1970. 10. 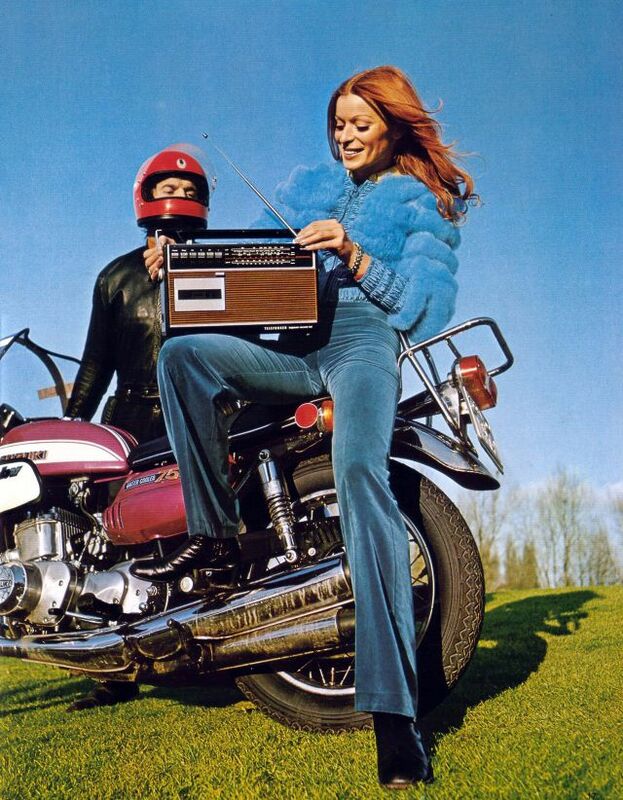 Ann Margaret totally rocking it out on her bike, 1969. 11. 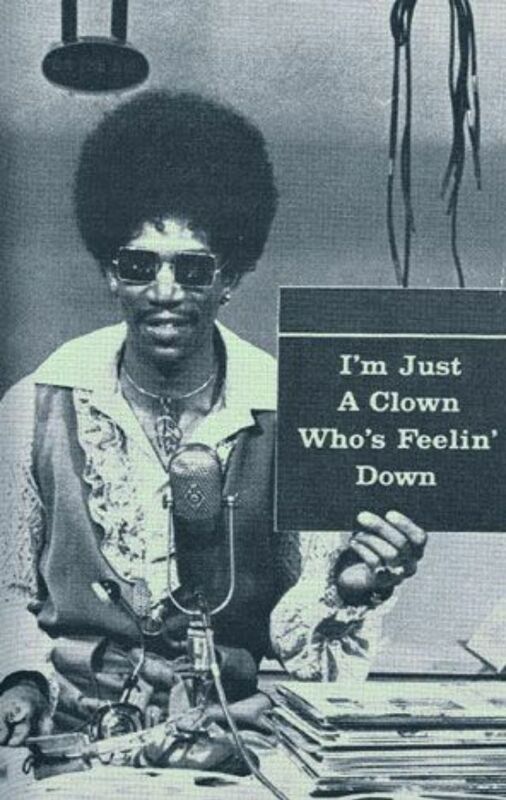 Morgan Freeman sporting a wicked afro in the ’70s. 12. Boys of the future, New York, 1970. 13. 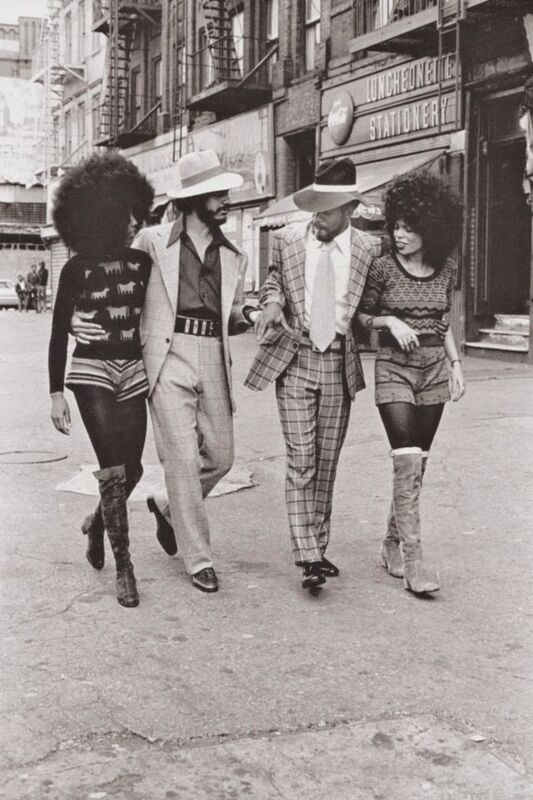 Two foxxy couples in Harlem, New York, 1970s. 14. Hugh Hefner with his new bunnies, 1970s. 15. The stylish Greta Garbo. 16. 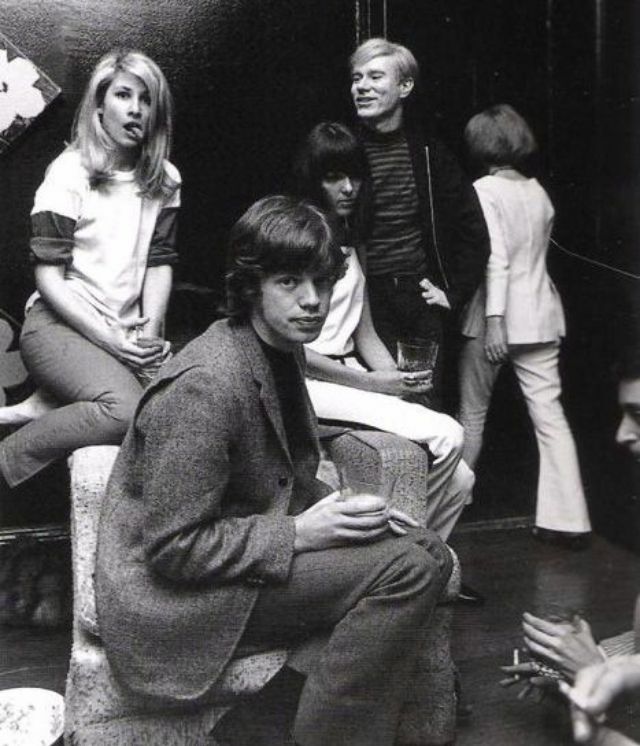 Mick Jagger, Andy Warhol, and Jane Holzer, circa 1965. 17. 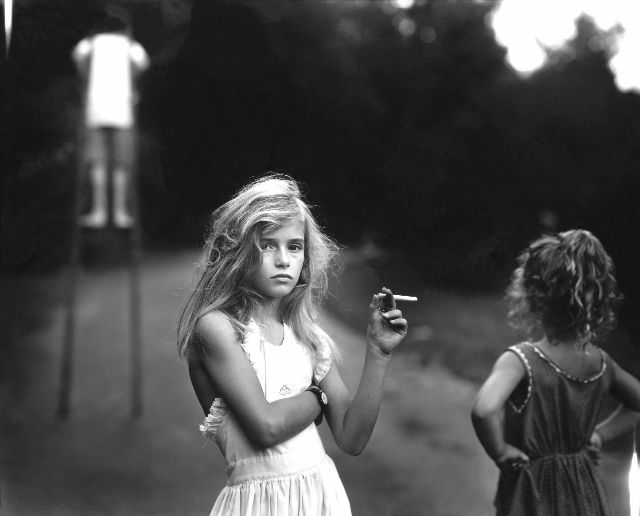 Candy Cigarette by photographer Sally Man, 1989. 18. A stylish couple enjoying the romantic rain in London, 1963. 19. 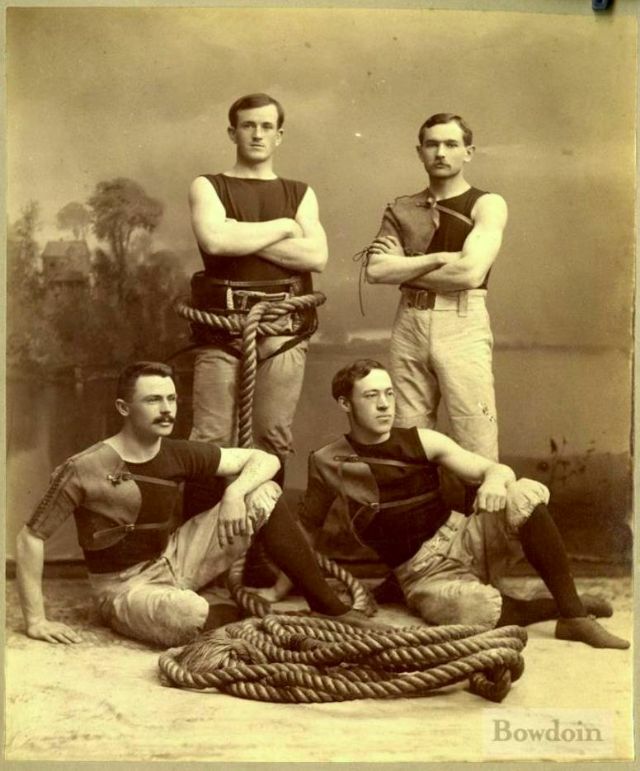 The Bowdoin College Tug of War Team, 1891. 20. 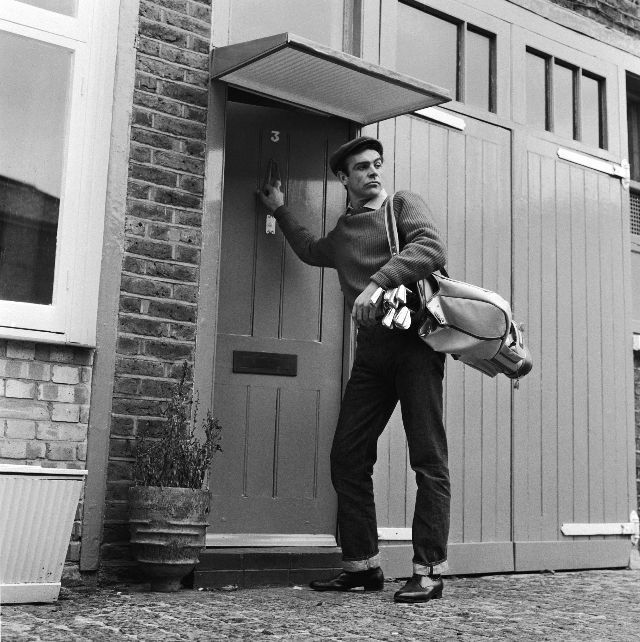 Sean Connery leaves his basement flat in London for a game of golf, 1962. 21. 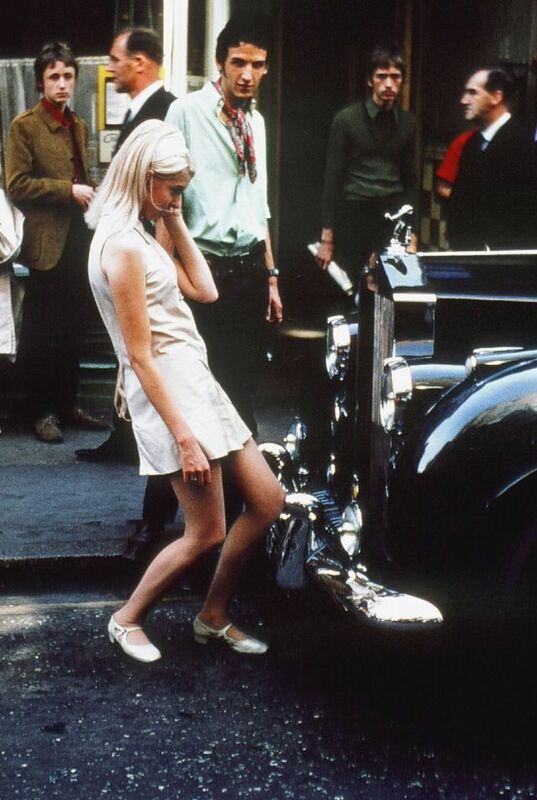 A beautiful girl admiring her reflection in a Rolls Royce while men around her get mesmerized, London, 1968. 22. Woman in the British Royal Army Corps flaunts her new tattoo, 1940. 23. 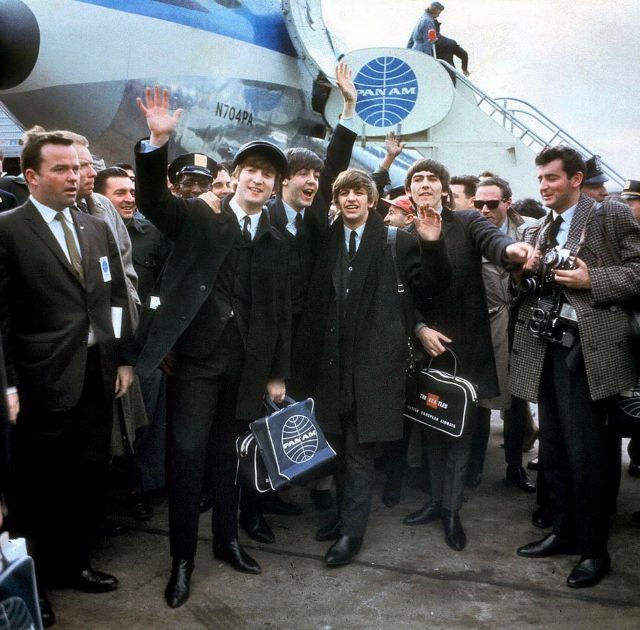 The Beatles arrive in style at the JFK airport, New York, 1964. 24. 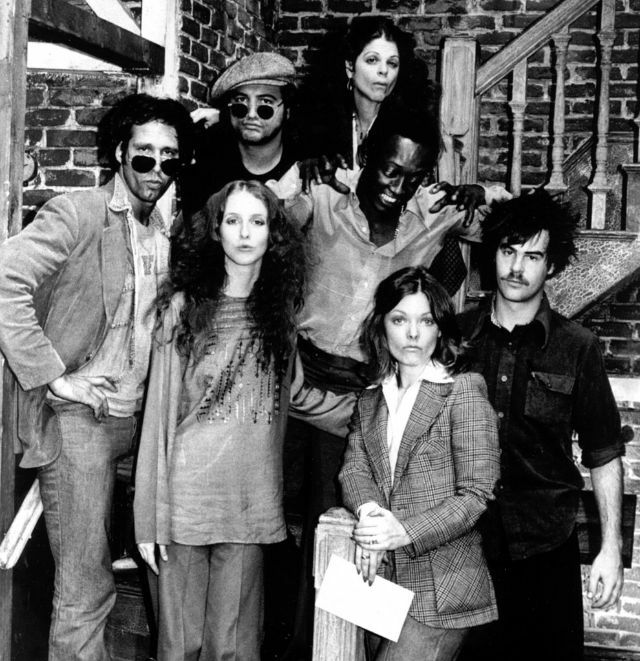 The Saturday Night Live original cast, 1975. 25. 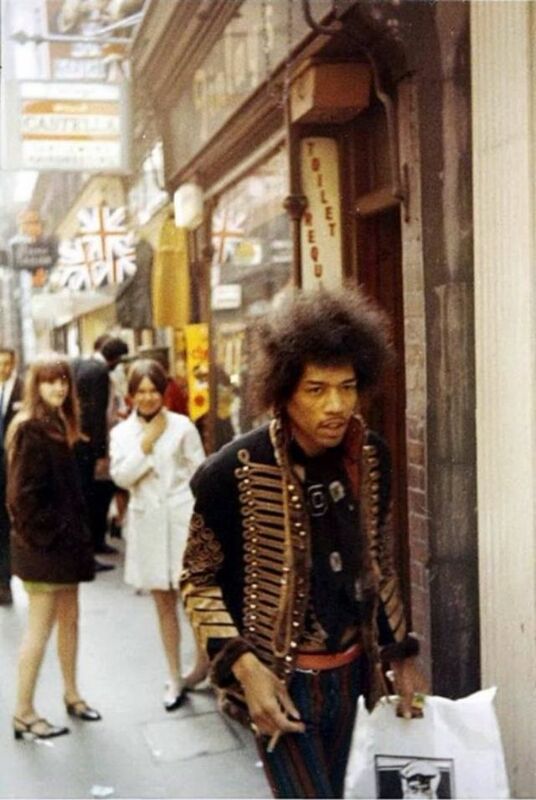 Jimi Hendrix on Carnaby Street in London, 1967. 26. 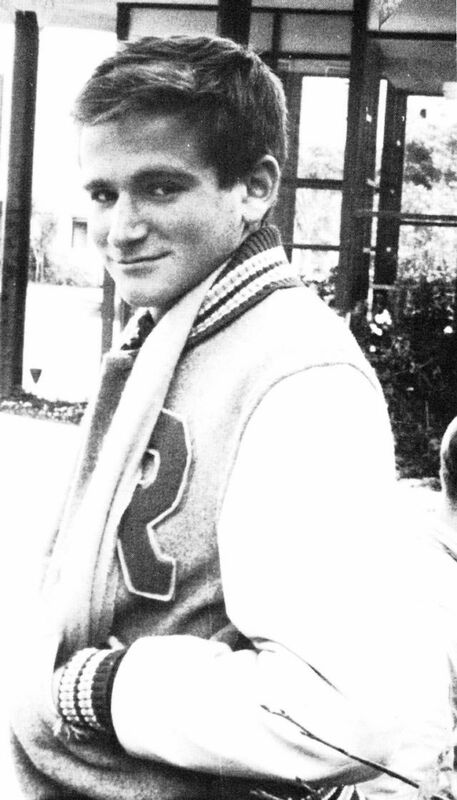 A young and debonair Robin Williams, 1969. 27. 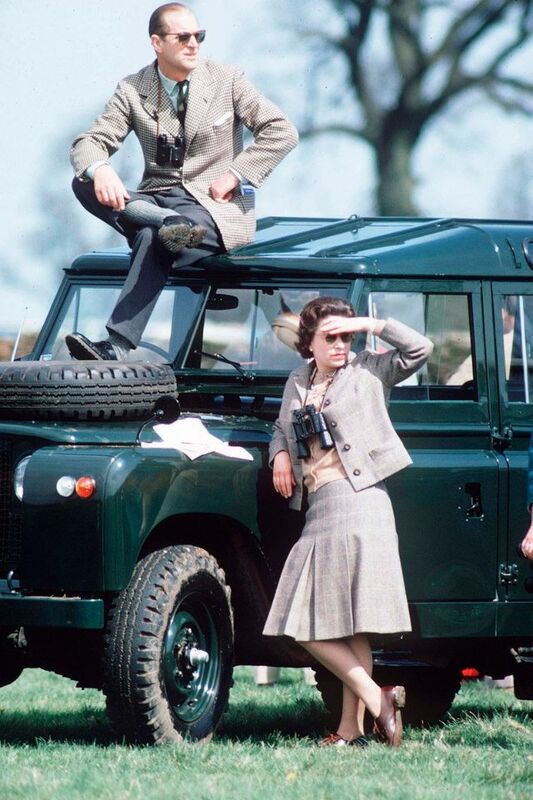 Queen Elizabeth II and Prince Phillip at the horse races, 1968. 28. 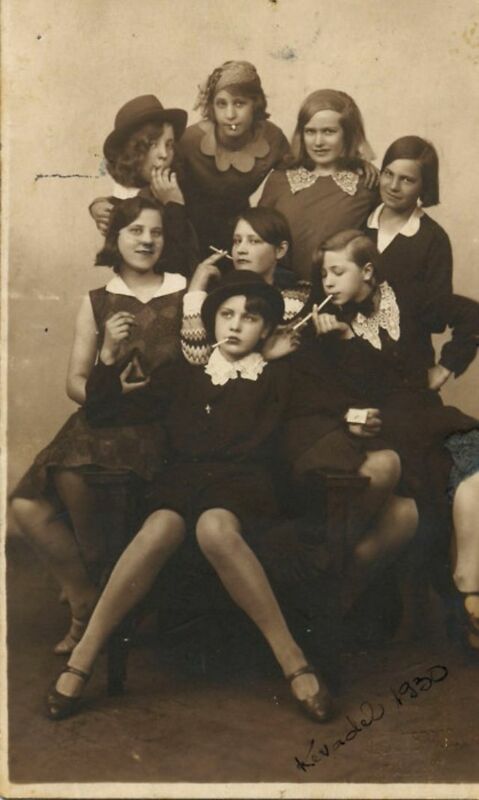 A gang of young and vivacious girls, 1930. 29. Actress Joan Bradshaw keeps heads turning as she walks down Hollywood Boulevard, 1957. 30. 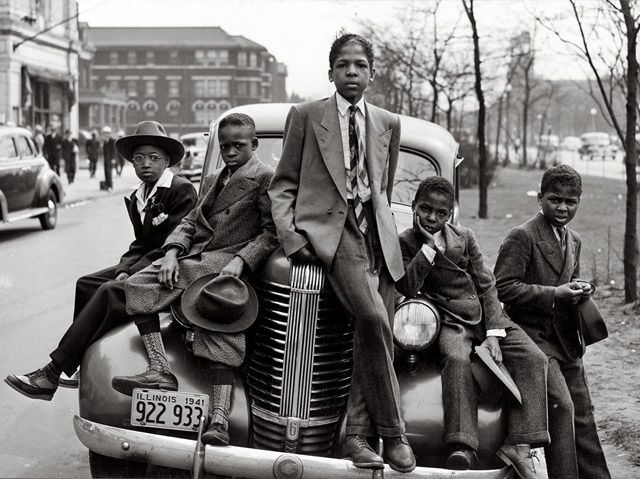 A group of handsome Southside Boys, Chicago, 1941. 32. Rita Hayworth looking hot on her bicycle, 1940s. 33. 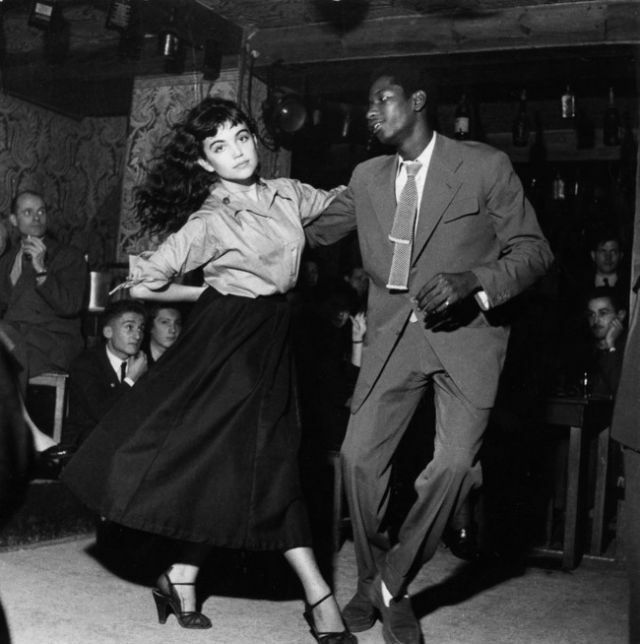 A couple dancing in a 1950s “Be Bop” theater as everyone looks on. 34. The amazing Ann-Margret in Bye Bye Birdie, 1963. 35. 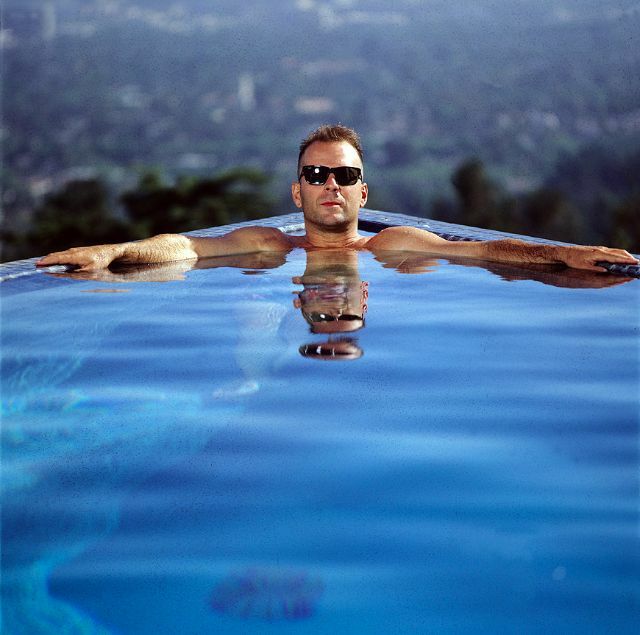 Bruce Willis living the life, 1989. 36. 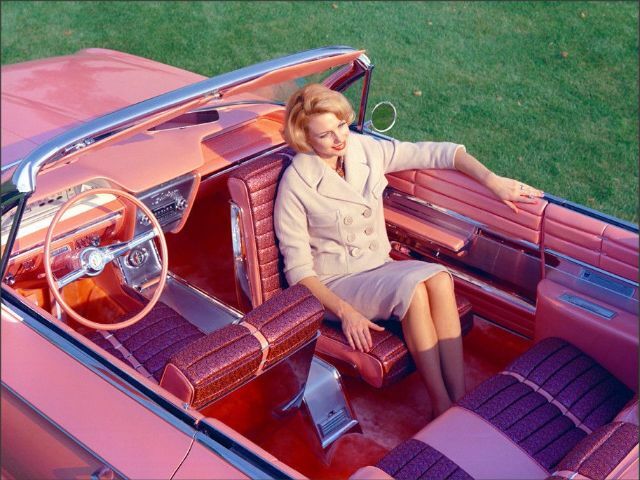 A woman experiences heaven in the 1961 Buick “Flamingo” equipped with a rotating front seat. 37. 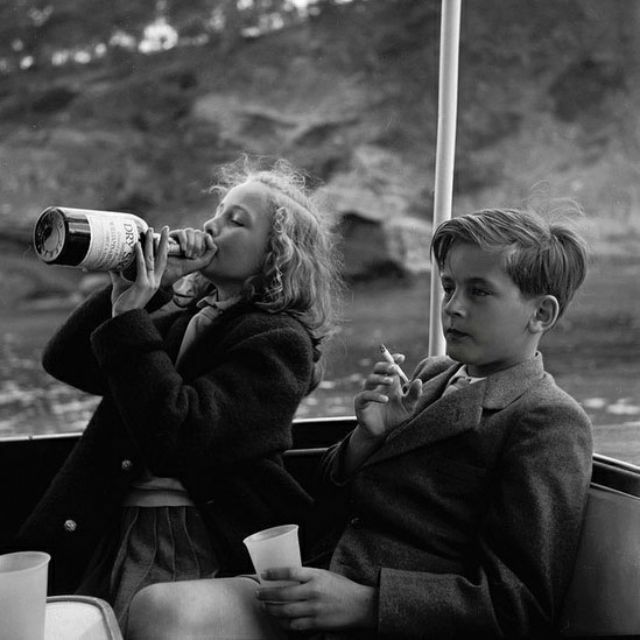 Princess Yvonne and Prince Alexander party like rockstars, Germany, 1955. 38. Two girls walking down the street in Cape Town, 1965. 39. 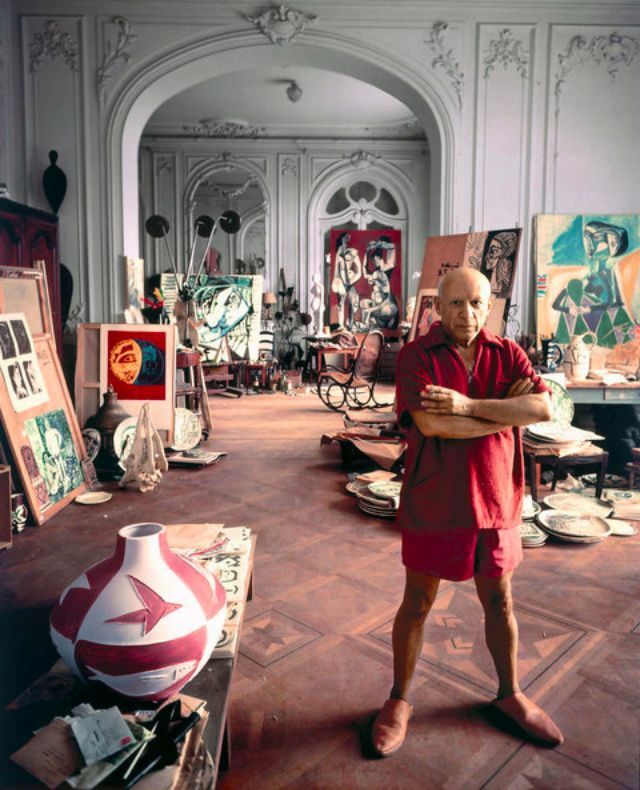 Picasso in his studio, 1956. 40. 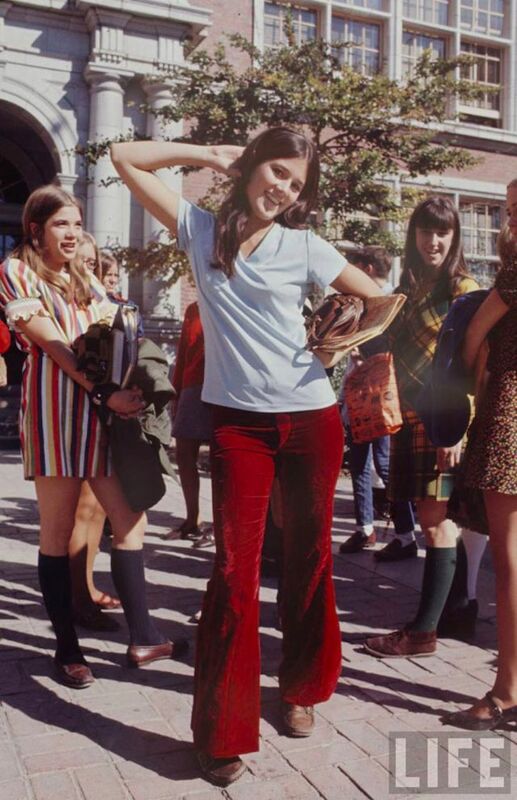 A high school girl setting a groovy fashion statement, 1964. 41. Presenting Diana Rigg, Olenna Tyrell from Game of Thrones, 1967. 42. 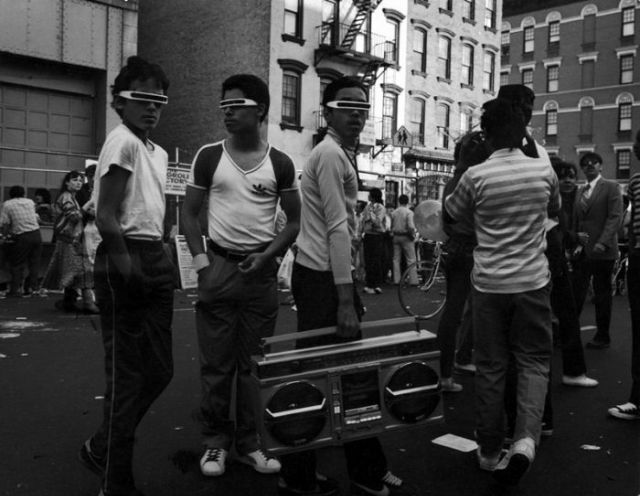 Too cool for school, Brooklyn teenagers in the ’80s. 43. Pretty roller skating girls humor some boys at an Outdoor Roller Skating Rink, 1970s. 44. 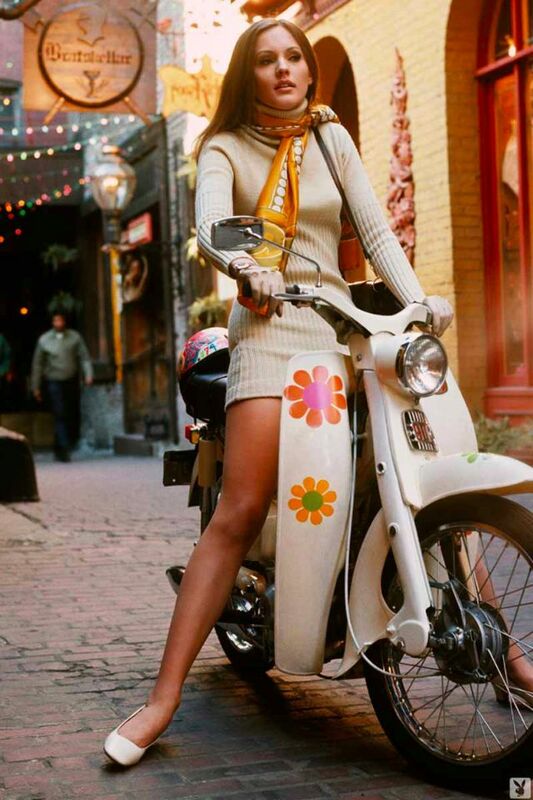 A scooter girl, 1969. 45. 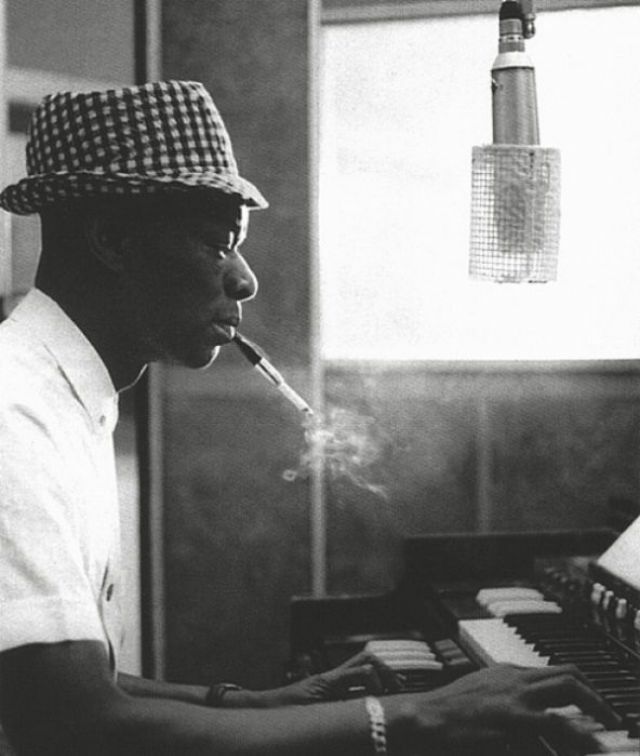 Nat King Cole enjoys a smoke while he plays his tunes on a piano. 46. Jane Fonda stretches and relaxes in the back of her limo, 1958. 47. 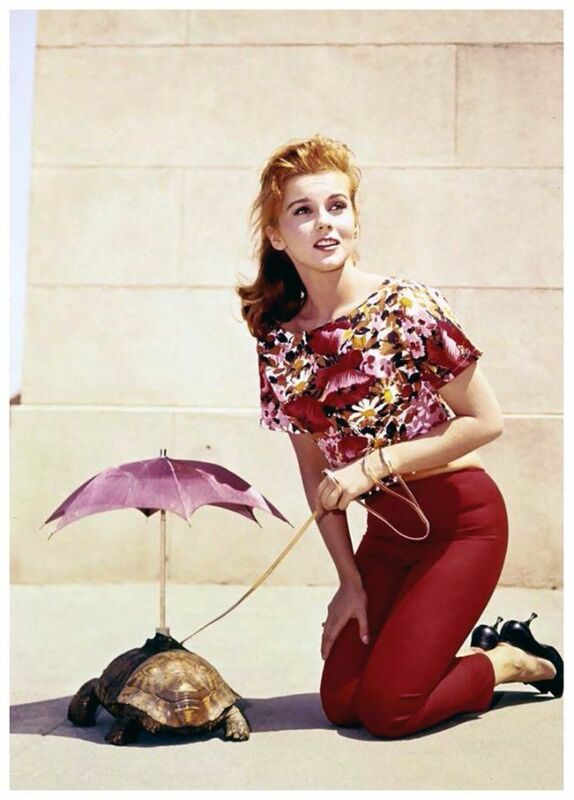 Ann Margaret poses with a baby leopard, 1960s. 48. 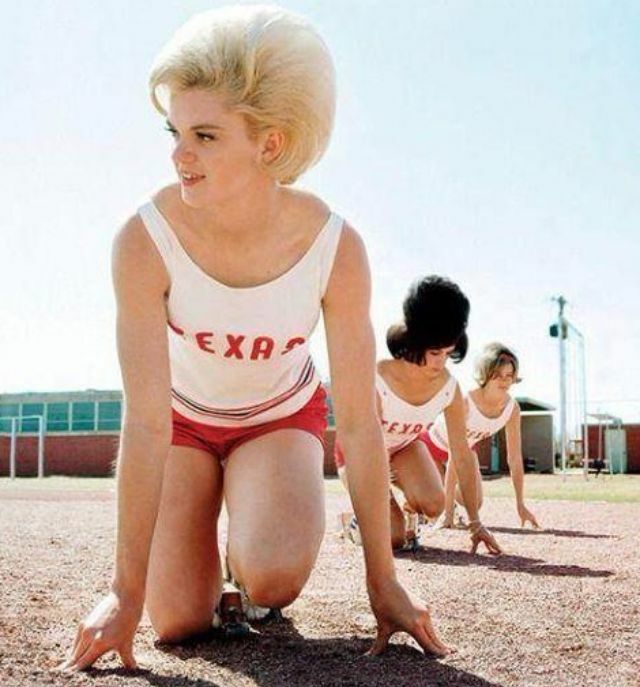 The University of Texas women’s track team practices, 1964. 49. 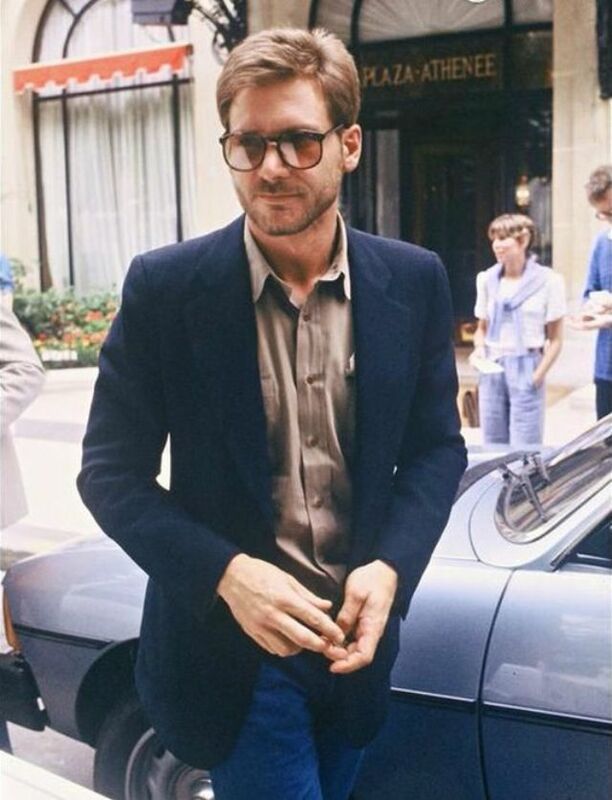 Harrison Ford looking sharp, 1980. 50. 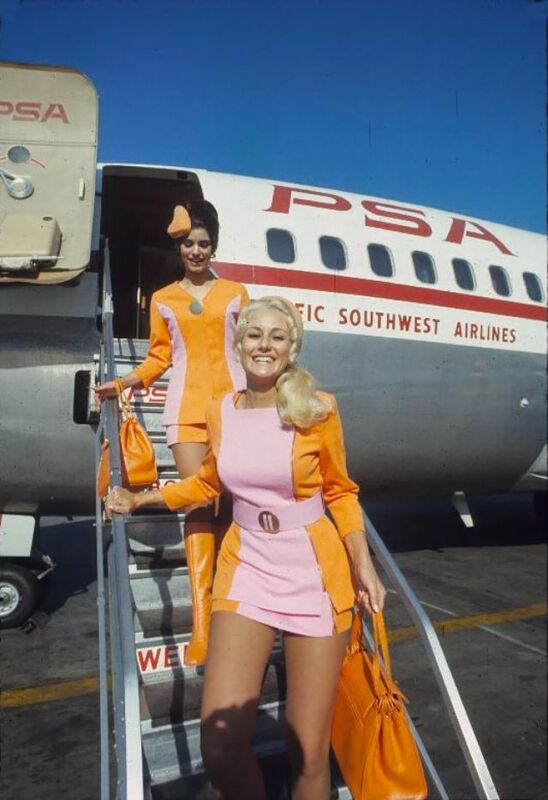 Pacific Southwest Airlines stewardesses, 1972.